This is fairly simple to setup , below find the step by step approach. Step 1: Download easy instagram feed plugin and after activation you will get the menu by the name “Easy Instagram Feed” as shown in the snapshot below. Step 2: Click on the button highlighted in the snapshot below. You will be asked to specify your username and password. On success you will be redirected to the General Settings which automatically configure’s your access token and user id. You will automatically get your access token and user id. Save these settings. 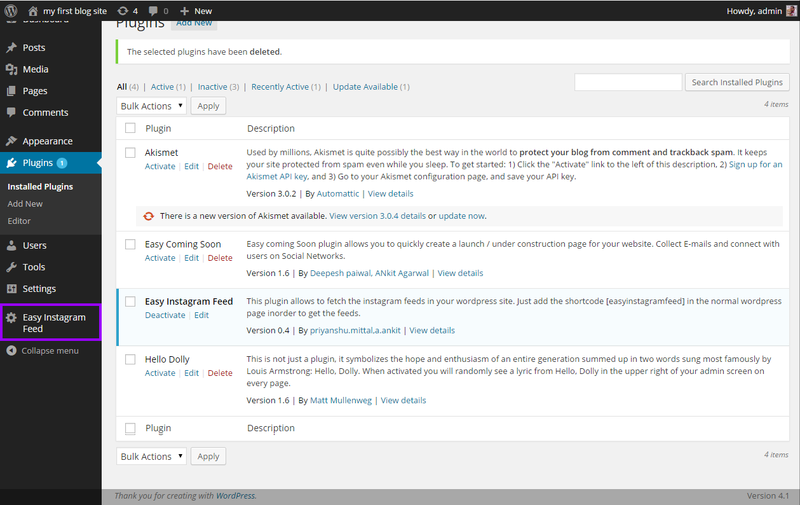 Step 3: Next customize the plugin as per you requirement. 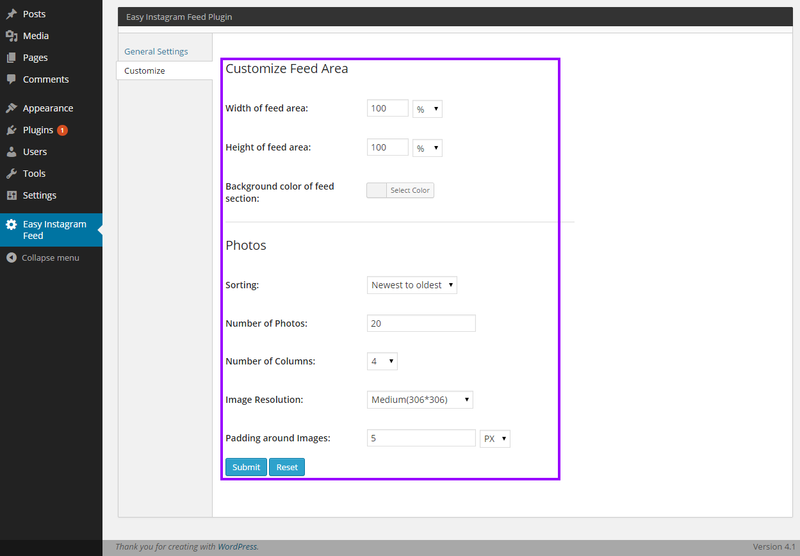 Step 4: Next add the shortcode easyinstagramfeed on the WordPress pages / posts . We are continuously working on the new features. Hope you will find this plugin useful.